Sugilite is a cyclosilicate mineral. Sugilite is also known as Archangel Michael's stone. Sugilite is today's "love stone", representing spiritual love. It opens the chakras and brings them into alignment with the flow of love. Sugilite enhances the development of spiritual awareness, promotes channeling ability and teaches to live from our truth and to believe in our sixth sense, or intuition. It encourages positive thoughts, alleviating sorrow, grief and fear. 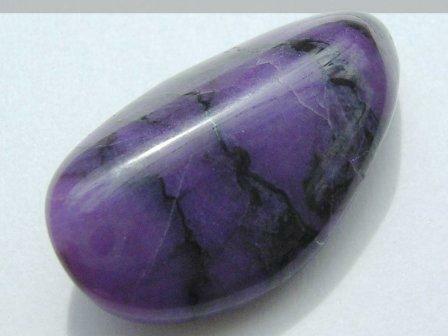 Sugilite is excellent in relieving pain and discomfort at all levels.